Very sad to hear of the passing of Joe O’Mahony yesterday. 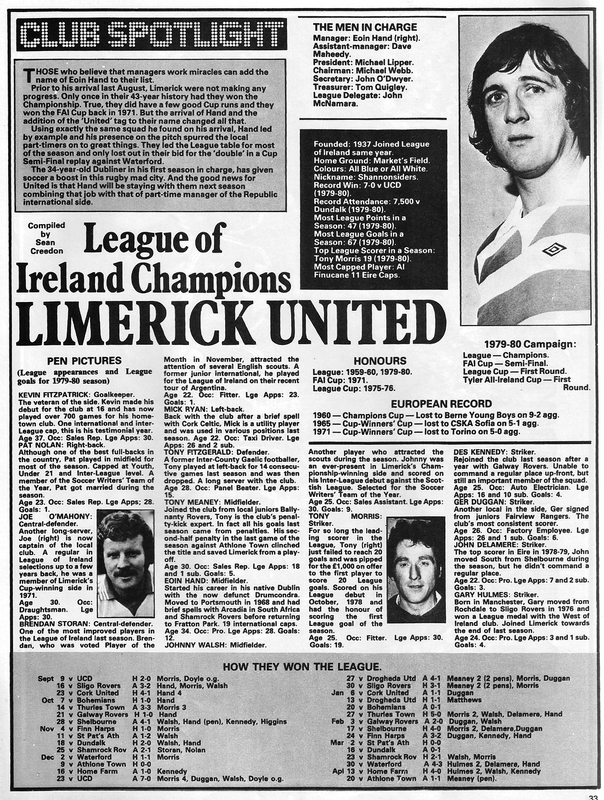 Joe was captain of Limerick FC when they won the League of Ireland in 1980 and the FAI Cup in 1982. We scanned these pictures from a 1980 Shoot magazine feature. Joe is third from the left in the front row. That is Eoin Hand behind him and the mascot in front is comedian Karl Spain! 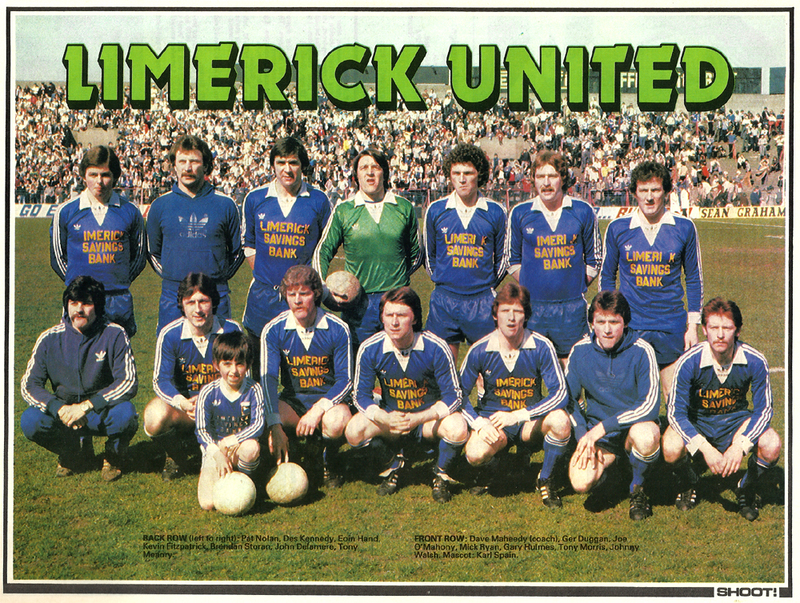 A very good side who disrupted Dundalk’s late ’70s LofI hegemony, with fine players like J O’M, Pat Nolan, Hand the Balladeer (!) and the elegant Johnny Walsh.